Abandoned vacant houses are magnets for Squatters! 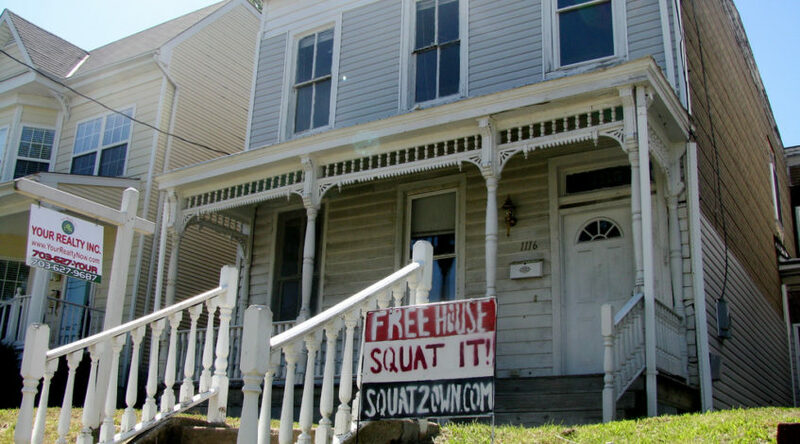 If you see a vacant home in your neighborhood that does not have a realtor sign in front then it is definitely a target for Squatters to take over within minutes. If you see a vacant home report it to us so we can locate the owners and offer advice on keeping the house from becoming a Squatter home. After the housing crash tens of thousands of vacant homes are in every major city! Hundreds even in small towns and this creates a haven for Squatters even in smaller towns. If you see a vacant house write down the address and let us know! We will investigate and help the homeowner if we can find them. Often these homeowners owe money to someone and they are very hard to find at that point as they do not wish to be found so we use advanced skip tracing techniques to find them and help them.